This graphic organizer, entitled Uncle Hammer's Packard, is for those mechanically minded youngsters attracted to cars. The first portion of the activity requires research based on specific question. The second part focuses on Uncle Hammer's possible reasons for choosing to own a Packard. 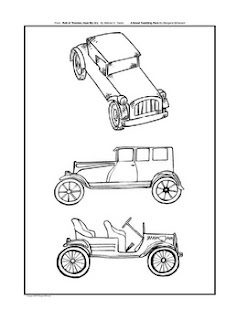 Also included ONLY with this freebie are Packard clipart illustrations, an attractive prospect for students who love to draw. Download and enjoy. Positive feedback is appreciated.